In the WTF news story of the day, Michel Gondry (Eternal Sunshine of the Spotless Mind) has been tapped to direct The Green Hornet starring Seth Rogen. Production Weekly first broke the story via their Twitter feed, which was quickly picked up by other Tweeters, and eventually Cinematical. The story was confirmed by the Hollywood Reporter. This is intriguing, but bizarre. I mean, really? I love Gondry, but I do not think of him as an action director. His films are quirky comedies, albeit often with a deeper, more meaningful bent. Still though, it just doesn't seem like a good fit. It's like Ang Lee meets Hulk all over again. 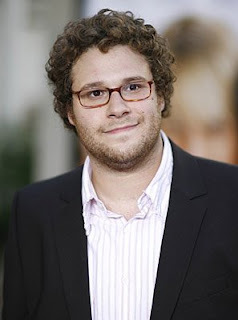 Especially with Seth Rogen starring. It makes you wonder what tone this is going to take. Campy, serious, or somewhere in between? Oh well, time will tell.